Please select options for SR Performance 75mm Throttle Body (86-93 5.0L) at the top of this page. 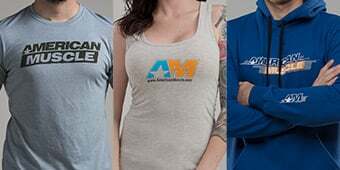 Hey everyone, Stephanie with AmericanMuscle.com and I'm going to be taking a closer look at the SR Performance 75mm Throttle Body, available for your '86-'93 5-liter Mustang. 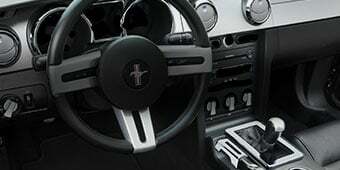 SR Performance is a name that every Mustang owner should be aware of by now, thanks in part to their wide selection of performance and suspension components that won't break the bank. The SR Performance 75mm Throttle Body is a great bolt-on for the 5-liters that are heavily modified or that have forced induction, and it pairs great with an aftermarket intake and EGR spacer. On the other hand, if you have a lightly modified or even stock 5-liter Fox Body, then I would recommend going with SR Performance's 70mm option instead. And this is because in order to justify the use of the 75mm throttle body, you really need to be pushing a lot of air and if you aren't pushing enough to justify the use of the 75mm, then you're just going to end up hurting performance instead of helping it. 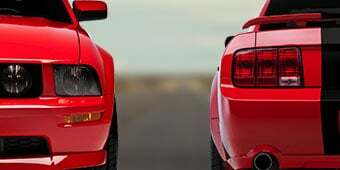 And if you aren't sure which option to go with, you can always reach out to a Mustang expert and they'd be more than happy to talk with you about your setup and guide you in the right direction. Taking a closer look at the throttle body, you'll see that it's made from a 356-grade cast aluminum, which gives it a smooth, almost polished type of finish. The throttle body does not require a tune, but we do recommend running one with it, just to make sure that you get the most out of your mods, especially if you're going to be pairing this with an aftermarket intake manifold setup and EGR spacer. A lot of our customers have told us that they noticed a big difference after installing the throttle body and if you don't want to take my word for it, then you can always read up on some of the customer reviews on the product page. And while you're there, feel free to check out some customer submitted images of the throttle body installed on customer cars. Included in the box you'll find all the necessary hardware and gaskets needed to get the throttle body installed. The install itself is really straightforward and should only take you about an hour. You will need to transfer over your stock TPS, or throttle position sensor, and your idle air control valve to your new SR Performance Throttle Body, but that's only about two bolts and two screws. So that's also really straightforward. After that, all you have to do is attach your throttle cable, and you should be good to go. 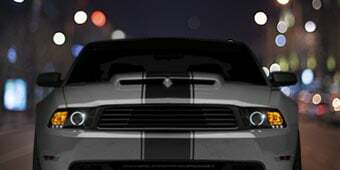 I know I mentioned it earlier, but if I haven't answered all of your questions about the throttle body or the install, I always encourage you to reach out to a Mustang expert. They're always standing by ready to talk shop and they'd be more than happy to help you out. So if you're looking for an upgraded throttle body to handle the larger amount of air that you're Fox Body's 5-liter is pushing, then you're definitely going to want to check out the SR Performance 75mm Throttle Body, available right here at AmericanMuscle.com. More Power. Increase the airflow in to your Supercharged or Turbocharged 5.0 Mustangs engine for an improvement in throttle response and more horsepower you can feel with a SR Performance 75mm Throttle Body. Application. The SR Performance 75mm Throttle Body is a direct bolt-in replacement for all 1986 to 1993 5.0 Mustangs. 75mm throttle bodies work great on heavily modified or supercharged 5.0 mustangs, this is because stock or mildly modified 5.0's do not flow air enough to benefit from the larger Throttle Body. Reuses the factory Throttle Position Sensor (TPS). Technical Note. 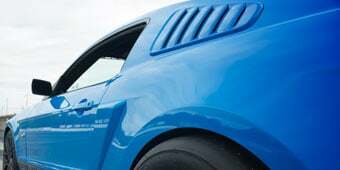 The 1986 to 1993 5.0 Mustangs must run both a throttle body and EGR Plate, with all stock connections functional, to maintain street legal. Fits 5.0L V8's Only, Reuses the factory Throttle Position Sensor (TPS). I got a stock 5.0 HO intake manifold, heads and cam. Only mod I got is a bbk ram intake. Would 75mm be an overkill or not . Or should I go with 70mm? Will this throttle body bolt to my Edelbrock intake elbow #3849 with the IAC in place? My stock throttle bodies IAC hits the elbow. We do not carry the 3849 intake elbow from Edelbrock, so we have not been able to test this with the SR Performance 75mm Throttle Body, however the throttle body is extremely undersized for this type of intake elbow as it is designed to fit up to 95mm throttle bodies. is the throttle plate heavy metal or aluminum? The SR Performance 75mm Throttle Body will utilize a brass throttle plate. What is the size of the stock throttle body and mass airflow meters? Do they have to match in size for replacement and Dyno tuning? How much change has to be done before going to a 75mm? It has a 5.0 HO. The stock throttle body size is 60mm. It would be a good idea to port match this throttle body to the intake manifold. It would increase the power of the car. A larger throttle will definitely improve the performance of the car. 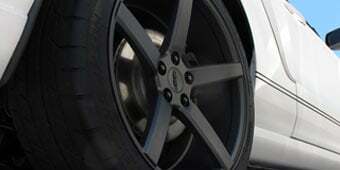 Though, you will see a more noticeable improvement if the car is modified. 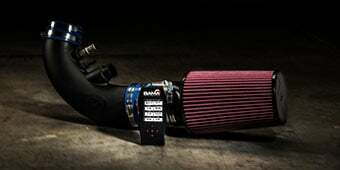 Do I have to port my cobra intake in order for it to match the throttle body? Hi, This throttle body is a direct bolt-in replacement for all 1986 to 1993 5.0 Mustangs no modifications are needed to install this part. 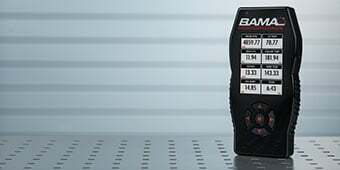 Yes, you would actually find a better throttle response with a 70mm throttle body as a 75mm is designed for heavily modified or boosted applications, so installing a 75mm with your set-up would certainly be over-kill. You should not need to buy any other parts. This Throttle Body reuses the factory hoses and sensors off the stock one. I would stick with the 70mm. Without a few more "aggressive mods"(cams or ported heads, etc...) you may actually lose power. Depends on your intake manifold . It will if your intake inlet is big enough . 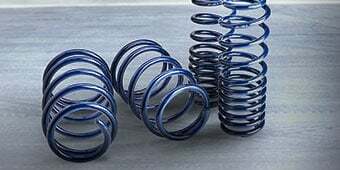 Weak springs. Butterfly didnt completely close. I ordered another and found that the spring tension is just weak in this TB type. I used a Lokar throttle cable and a 2nd spring and it seems to work better but have considered putting my old 70mm back on. Love this 75mm I have it on a trickflow 75mm intake with 24lbs injectors very easy to install 15 min tops gd throttle response also!!!!! Was very surprised about the quality. Super nice for the price! This throttle body is just what your Mustang needs, whether stock or modified, it will definitely wake it up as the stock throttle body is too small and restrictive. Features better throttle response, smoother idle, and a must have! Easy installation and fit perfectly! Well worth the money! The throttle body looks good... time will tell how the finish holds up. Not crazy about the way the idle is adjusted... I prefer it to just be one bolt, this is a bolt with a lock nut. And the bolt is a star drive... but it's not that bad. Other than that, I like it. Great fit and looks awesome! Definitely can't beat the deal! Verry cheap pricess good quality item. Recomend to anyone. Just installed on my stroker motor and looks amazing and works as it should. Great product and easy install. 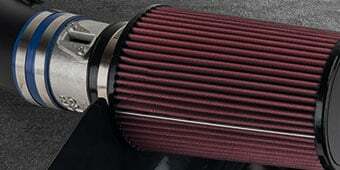 Bought with egr spacer. American Muscle comes through again.....fast shipping, beautiful product, easy install. Throttle response is waaaaay better than I expected!!! Awesome throttle body. Performance gains are limited to what you pair this with.....intake heads etc etc. Don't hesitate....buy this even if your pony is stock. Looks awesome and runs great! This looks great on my 86 Mustang GT and I now have a crisp throttle. I love how easy it is to set the TPS also. I love how the car runs now. It pulls hard all the way to 6000 rpm. Quick easy install all parts included. Easy bolt up application, better throttle response. This was exactly what I needed for my engine . It's super responsive and head snapping throttle ! A must have for any stage of mods .